Are you feeling blissful and happier with all the heartful birthday or wedding day wishes from your beloved people? Then here is the image to show your thankfulness. 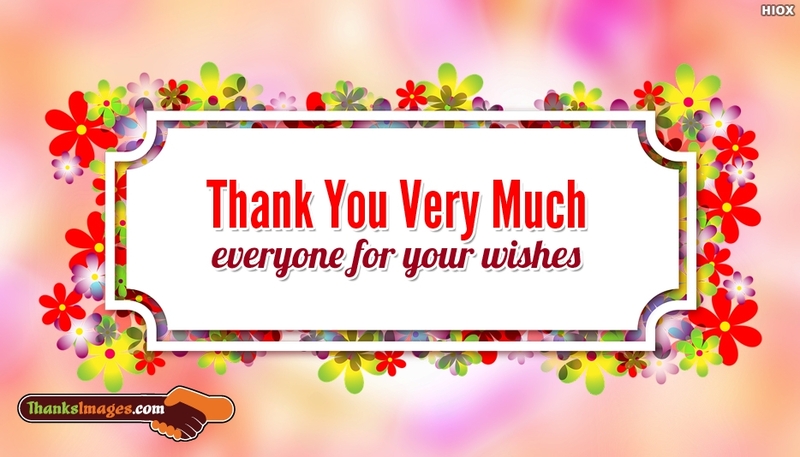 Free download and share this "Thank You Very Much Everyone For Your Wishes" to all friends, beloved people, family members who made your day an ever memorable one.